Do you want to be more outgoing? Do you want to be able to put yourself out there and freely engage with people so that you can create a better life for yourself? Today we’re going to be talking about how to become more outgoing. This is something that almost all of my clients ask about, so my goal today is to approach the topic in a way that’s going to serve you and allow you to apply it immediately in your life. To start with, I think you should know that I am not a naturally outgoing person myself—I have always been a bit of an introvert, and I often feel shy and awkward in social situations . . . it is part of my identity. Your identity has the potential to get in the way of your progress. You’ll tell yourself that you are shy or introverted, therefore you cannot be outgoing. It’s almost as if it’s an unspoken rule: this is who I am, so this is all I am capable of. This rule is limiting you. It is keeping you stuck in one place. The truth is that your identity is not one-dimensional—it’s not this or that . . . it’s this and that. You are capable of a crazy amount of depth, but you’ve never had the opportunity to realize it. Everyone has the capacity to be outgoing; they just need to develop it, like a muscle you can strengthen through practice and exercise. So, how do we practice becoming more outgoing? I think of it as a four-part system. I even have an acronym for it: I.B.A.S. Initiate. Blurt. Ask. Share. Let’s discuss what I mean by “initiate.” If you want to be outgoing, you must be willing to drive interactions with people. If you’re waiting for someone to come talk to you, you’re not going to get the result that you want. You’re going to get ignored, and you’re going to reinforce the logic in your mind stating that people must not like you because no one has approached you. That’s all in your head. When you don’t approach someone, does it mean you don’t like that person? No. In fact, it can often mean the opposite. Either way, since the equation a complete non-sequitur, stop thinking of it as evidence of people’s feelings about you. Now, initiation includes more than just approaching the person and starting the conversation. When you drive, you don’t just start the car and let auto-pilot take over—you must put it into gear, press the pedals, manipulate levers and steer. The same goes for conversation: in order to drive it, you must initiate the process and help keep it going: offer topics, ask questions, respond with more than monosyllabic grunts, and stay connected to the other participants. At this point, many of my clients ask me how they’re supposed to keep the conversation going when they never know what to say. In answer, I offer part two of the I.B.A.S system: blurt. My favorite part about giving you permission to blurt is that it forces you to get out of the habit of always worrying about what you should and shouldn’t say. Whenever I hear someone say, “But Dr. Aziz, my mind is totally blank in these situations!” I want to call BS. Have you ever been alone with your mind when you’re trying to meditate or fall asleep? Your mind has plenty to say! If you’re anything like me, I’m sure it hardly ever shuts up. The problem isn’t having nothing to say; it’s having plenty to say and not trusting any of it. My guess is that many people spend the majority of conversations filtering their thoughts rather than listening to what the other person has to say—they’re figuring out the next topic, questioning whether what they have to say is appropriate, considering whether their opinions will be popular, etc. That’s getting them nowhere, and in the meantime, they’re probably not enjoying themselves. It doesn’t have to be earth-shattering conversation, here, just blurt something out—say something. Turn down that filter and let yourself have an honest conversation with someone. This brings us to part three: asking. So you’ve let loose a couple random blurts, and now you’re hitting a dead end . . . where do you go from here? Well, when you converse, you’re doing one of two things: making statements or asking questions, so when you run out of statements, the only logical move is to ask a question! Again, it’s not deep emotional stuff; you’re just trying to get the ball rolling so that you can latch onto more interesting tidbits that might pop up along the way. A little tip I like to offer my clients here is to plan ahead: if you know you’re going to a social event, write out five easy questions you could ask anyone else there so that you have them ready to go in case of nerves. Finally, we come to the final piece of my conversational quartet: sharing. Once you get comfortable with step three, there’s a chance you might start relying on it a bit too much and start speaking only in questions. Since this creates an oddly disjointed (and rather one-sided) conversation, you will eventually need to share something. Just interject some small opinion that lets the person know you’re actually listening to what they have to say. After a while, you’ll have mastered this to the point where you can share a bit more about yourself in these interludes. After all, if being outgoing means anything, it definitely means being comfortable sharing. If you apply these steps (initiating, blurting, asking, and sharing), you will naturally become infinitely more outgoing than you probably feel right now. Of course, it’s possible that you’d like to dig even deeper with this work and develop your skills in this area further. 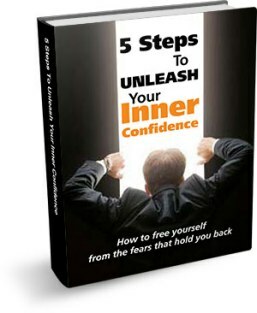 If that’s the case, I recommend you try out my program The Confidence Code, in which we attack this issue from two angles: clearing out the inner self-esteem blocks that are holding you back and developing your confidence with the major aspects of social interaction. This module is super detailed and will result in better networking skills, greater dating confidence, and an overall increase in your social intelligence. 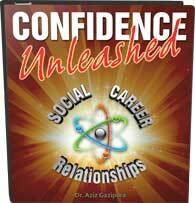 You can access The Confidence Code by visiting www.YourConfidenceCode.com. In the meantime, please feel free to “like,” subscribe or share below. What obstacles do you face when it comes to being more outgoing? What are your best conversation-starting blurts and questions? Take the time to leave words of wisdom for your fellow introverts so that we can all grow together. If you really want to see a difference in this area of your life, you absolutely do have the power to make it happen . . . but you must start by taking the first step. I wish you the best on this new challenge, and until we speak again, may you have the courage to be who you are and to know on a deep level that you’re awesome. I’ll talk you soon.